To empower and nurture an inclusive community of diverse learners dedicated to cultivating chemical knowledge, acquiring scientific skills, and becoming responsible citizens of the world in which they live. 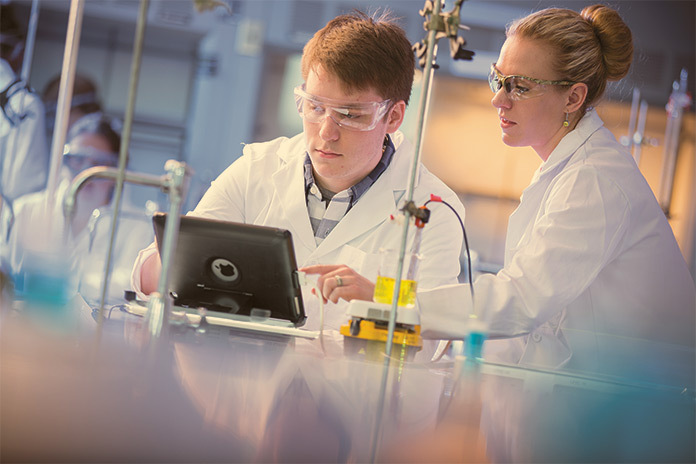 Students will identify and pursue their chemical interests throughout their college career. Students will make informed decisions about their career track and will graduate from Juniata with a plan and a purpose. Students will become proficient in core chemical concepts, and in utilizing the primary literature, instrumentation, and technologies in the field. Students will identify and utilize educational resources to develop as learners and grow their chemical knowledge in a department committed to their success. Students will participate in authentic scientific inquiry. Students will develop a sense of safety culture and obtain the necessary skills and knowledge to evaluate laboratory hazards, identify proper precautions and protective equipment, and correctly dispose of waste. Students will effectively express scientific ideas to both a general and scientific audience. Students will communicate with communities, from local to global, scientific scholarship. The department will scaffold the curricular structure and support each individual student at levels appropriate to the student’s course level. Faculty will provide opportunities for independent student research. In Juniata’s chemistry department, students learn in a cohesive, experimental way from the very first introductory course. Instead of focusing on one aspect of chemistry at a time, our introductory courses–the integrated chemistry series–will weave together important concepts that form the basis of the five sub-fields of chemistry. 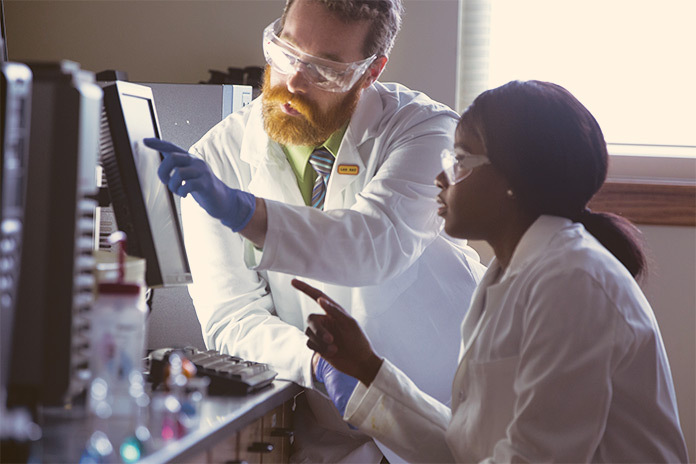 During your first two years, you will develop laboratory skills, practice problem solving, and apply your chemical knowledge to solve real-life problems. 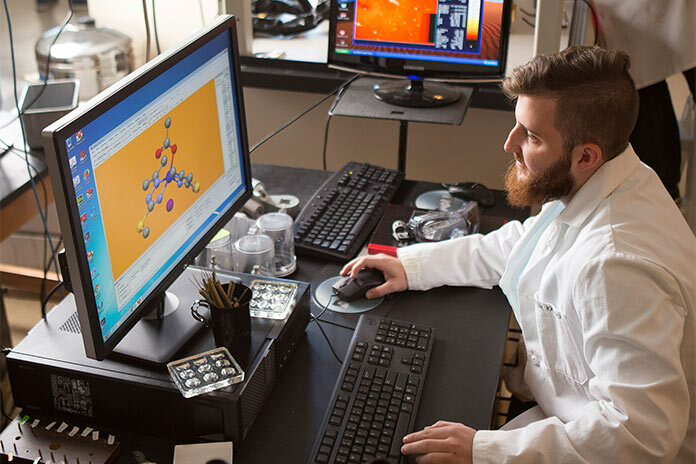 As you progress through your time at Juniata, study each subfield of chemistry in more depth and conduct original research with chemistry faculty, all while learning to use high-quality instrumentation to solve contemporary chemical challenges. Our chemistry department is a community composed of faculty and students with diverse talents and interests who work together in group problem-solving sessions, labs, and research experiences. As a member of our community, you will gain the knowledge, communication, and problem-solving skills to prepare for the chemistry workforce. But don’t just take our word for it.